Columbia County's port district will now be referred to as the Port of Columbia County. In an ongoing effort to find a new name for the Port of St. Helens and rebrand the agency to better reflect the geographic area it encompasses, port commissioners voted Wednesday to change the agency's name. The name change came after the agency gathered input from public focus groups and online surveys. Public feedback was solicited after port staff suggested the name "Port of St. Helens" was confusing and misleading to prospective business tenants. 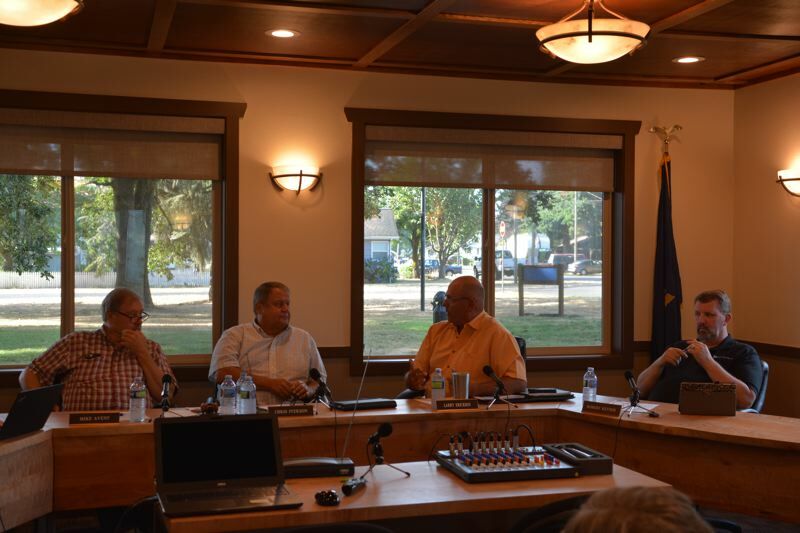 Earlier in July, port commissioners were presented with a name suggestion of "Port of Columbia, Oregon," largely in an effort to find a new name while appeasing the Columbia River Steamship Operators Association. Officials from the steamship operators association had notified the port in writing earlier this year about concerns they had over use of "Columbia" or "Columbia River" in any new names, noting that port operators in the Pacific Northwest could easily confuse the port in Columbia County with other regional ports. The "Port of Columbia, Oregon" moniker didn't dazzle commissioners, who opted to table the vote on a new name until more options were presented. Staff returned Wednesday with three suggestions: "Port of Columbia County"; "Port Authority of Columbia County" and "Columbia County Port Authority." Commissioner Chris Iverson was hesitant to undergo a major name and branding change that staff estimated will cost roughly $50,000 to $70,000 to order new signs, letterhead and change the website. "I don't see a monetary value in this," Iverson noted. "I think if people are looking for us, they're gonna find us." Staff and Commissioner Larry Ericksen disagreed. "My view is if we do rebrand, we'll be easier to do business with," Ericksen said. "I agree that 'Port of St. Helens' doesn't represent us very well," Commissioner Robert Keyser said before voting. "Nothing's really got me excited yet, but all of those are active descriptors of what we are." Ericksen favored 'Port of Columbia County' and motioned for a vote, but was met with a long pause of silence. Finally, Keyser seconded the motion, but abstained from voting until hearing other votes in support. "Ok, I'll vote aye," Keyser remarked with hesitation. Commissioners approved the name change unanimously. "This is a momentous moment," Ericksen said after the vote. "This is something that's been thought of and planned for a long time through staff and public input ... this is a big change if we do it." Doug Hayes, executive director of the port, had lobbied for a name change, saying tenants often assume the port district only encompasses St. Helens. "I do like 'Port of Columbia County'," Hayes said. "I think it better reflects our district and our responsibilities."